The next stage of the Star Wars: The Force Awakens hype machine is here, and it has gotten pretty regal. 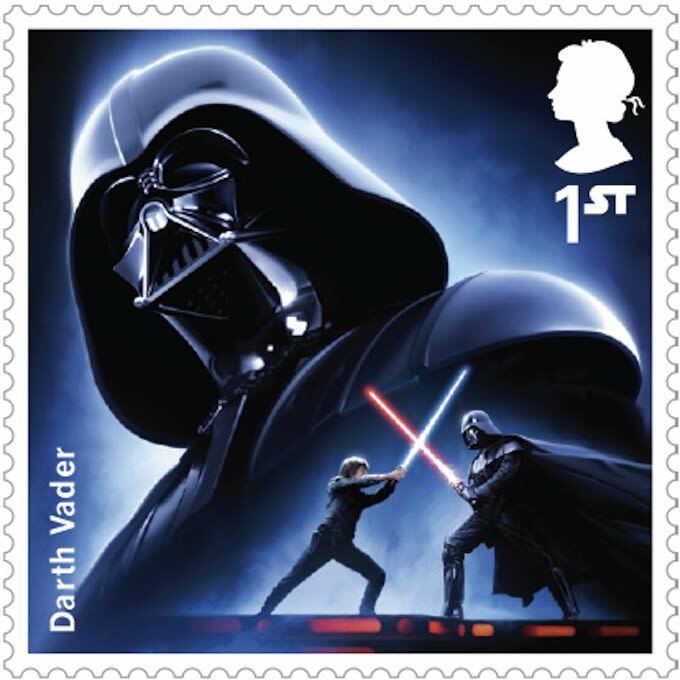 Royal Mail has revealed that they are releasing official Star Wars postage stamps. They’ll be official usable UK postage, and they go on sale October 20. Unsurprisingly, Luke Skywalker, Darth Vader, Han Solo and all the other characters you’d expect from the original trilogy get their own stamp. Three characters from The Force Awaken are also included—heroes Rey and Finn, and new villain Kylo Ren. But there’s some serious shade thrown on the prequels, with only a tiny Anakin Skywalker appearing at the bottom of the Emperor’s stamp.